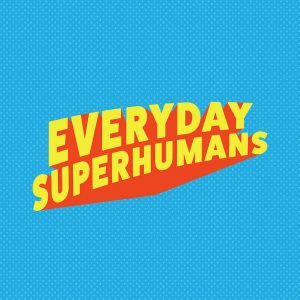 Everyday Superhumans was the featured podcast last fall and with the recent office move, MacKenzie decided to go ahead and share a great past episode as opposed to releasing a lackluster new one. Who knew an office move could cause so much disruption to a podcast schedule? Read below to find out about Everyday Superhumans and catch their episodes from 2018 as well. Non-profit organizations – have you ever thought about how many there are just in your neighborhood? Kyle Smith of the podcast, Everyday Superhumans, shares his experience as co-host of the show and how it evolved into focusing solely on non-profit organizations, and highlighting those that are trying to bring a little more humanity to the world. Give it a listen to hear about passionate humans in the Austin area. See all of you soon at Podcast Movement! Thanks for listening and please subscribe. If you’re interested in being on the show or have any comments, reach out: mackenzie@blubrry.com. Government Agencies Try Podcasting: Only seems fitting they give the audible medium a try, audiences are bound to show up soon. Everyday Superhumans: Restoring your faith in humanity. One episode at a time. Hosted by Kyle Smith and Charlie Hilton, based out of Austin, Texas. Advertising for the future: Learn why you should start advertising before an advertiser reaches out to you. Podcast Movement: July 23-26 in Philadelphia. Learn about what we’ll be up to. MacKenzie and Todd will be speaking on multiple occasions. Use the code BLUBRRY to get 10% off your ticket.